Posted on April 20, 2015 · The area is home to more than 250 working artists, the highest concentration in the state. Posted on June 20, 2014 · We hear from Rodney Chinelliott, singer/songwriter and lead vocalist for the band Iron Skillet, which will perform ten shows in one day along Houston’s Washington Avenue. Posted on April 30, 2013 · Drivers will now have to start feeding the meters on Washington Avenue, the district west of downtown. The city is putting a new plan into effect that's designed to cut down on parking problems in a neighborhood that's seen explosive growth. Posted on December 5, 2012 · A vote on that measure to test a paid parking district along the Washington corridor will wait another week. It was tagged to allow for even more public input. Posted on December 3, 2012 · The City of Houston is piloting a program to test a paid parking district in the Washington corridor. City Council will vote later this week on the plan to install metered parking along Washington Avenue. What to do with Washington Avenue? You decide. 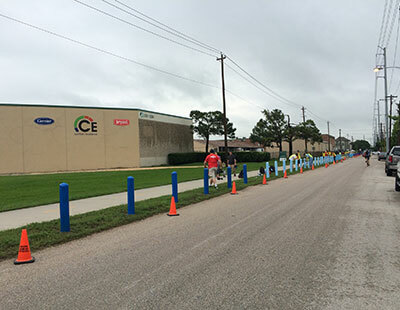 Posted on February 7, 2012 · Houston's East End is busy transforming itself into a more accessible and livable area. Hot on its heels is the Washington Avenue Corridor near downtown. Local planners hope to have a design in place by September and they want to hear what you think it should look like.